This is another slide where I really like the expression of the face of the moose. If you have ever seen one in real life you know they have a bad attitude. Carved in maple and finished with a dark stain. I picked stain for this because I was looking for a mottled look. 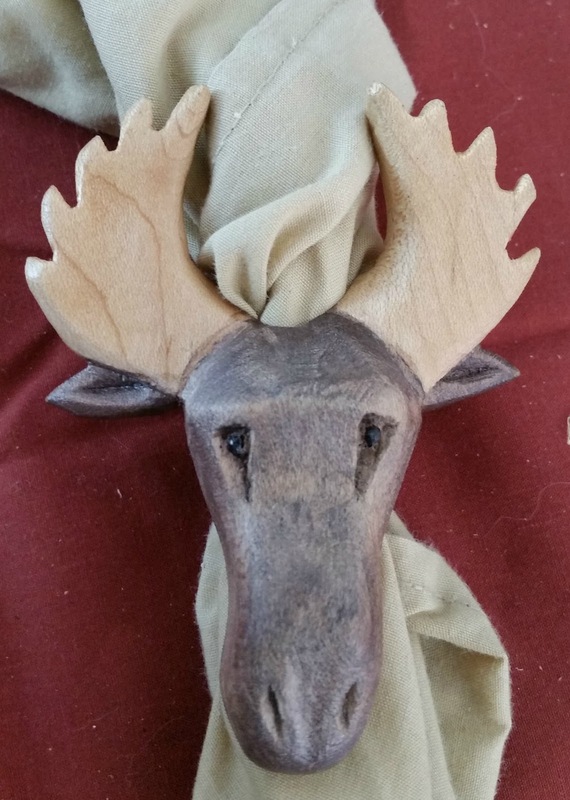 I also really like the natural wood look of the antlers. Cut down pins make of the eyes and poly finishes it off.